This is a sample entry from Tom Dosdall’s newsletter, Technical Ag Knowledge, published on Tuesday, December 20, 2016. 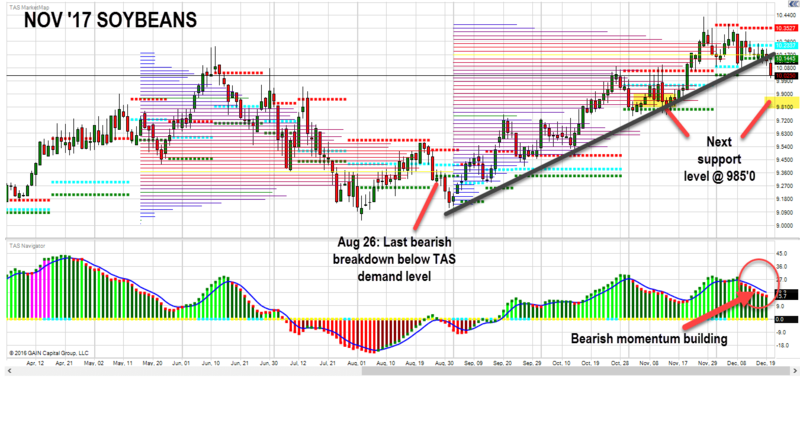 Important technical break to be aware of for November 2017 Soybeans (see below). Soybean producers: now might be a good time to make sure your 2017 marketing plan is in line with objectives for this time of year.